We have stayed true to the Good Food for Good values from the begining. Good Food – made with pure and simple ingredients and always for Good (donating a meal with every purchase made). It hasn’t been the easiest to source fresh, organic produce and make everything locally right here in Toronto. But this is what we believe food should be like. 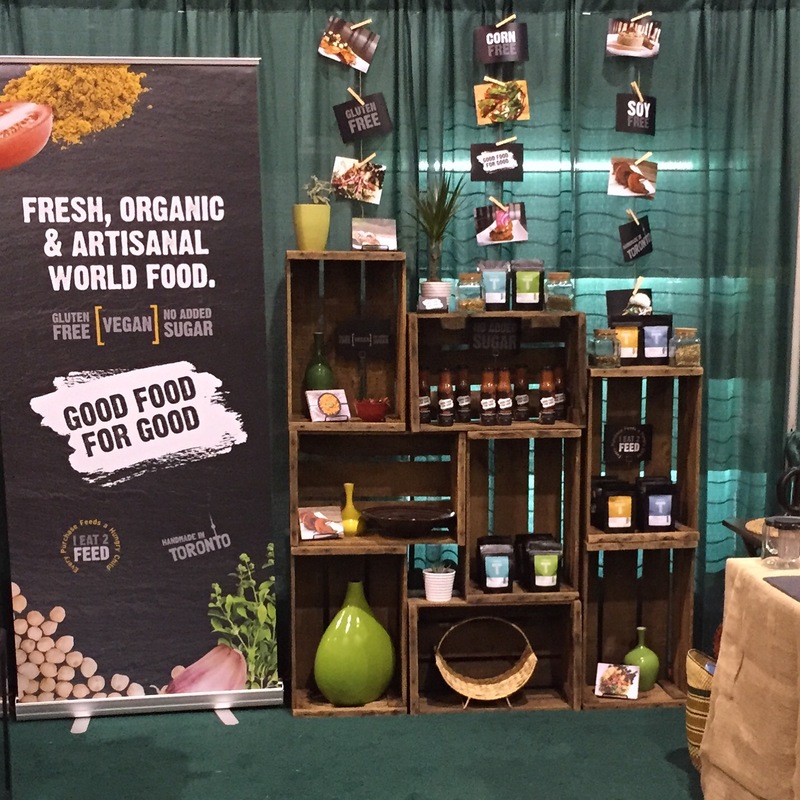 Now in it’s second year we decided to present our creations to the industry at CHFA East – the biggest Health Food trade show in Canada organized by Canadian Health Food Association. 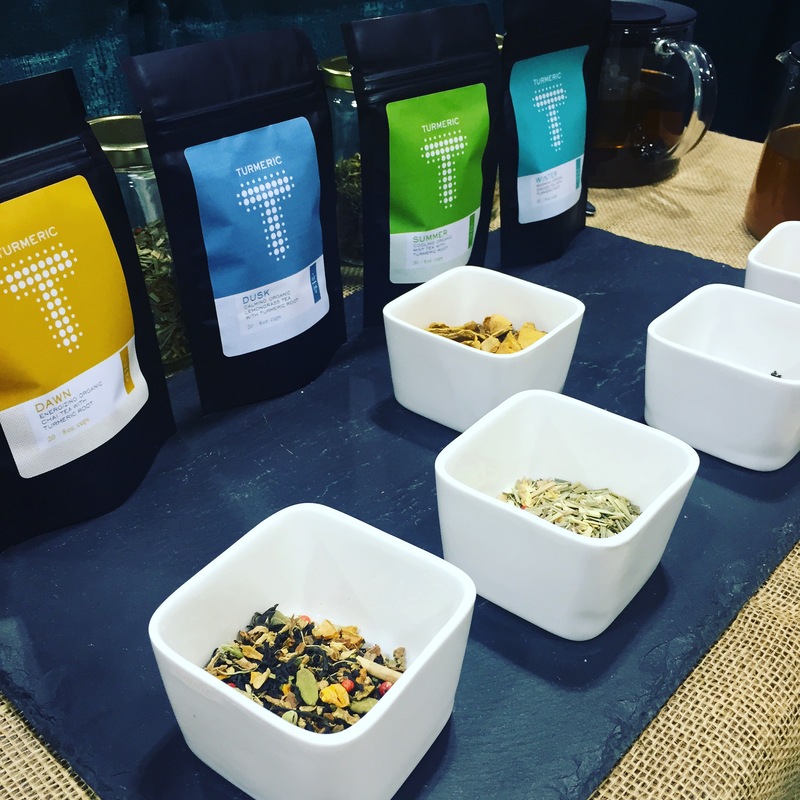 Last weekend Metro Toronto Convention Centre was bustling with entrepreneurs, established businesses, retailers and everyone in the health food Industry. 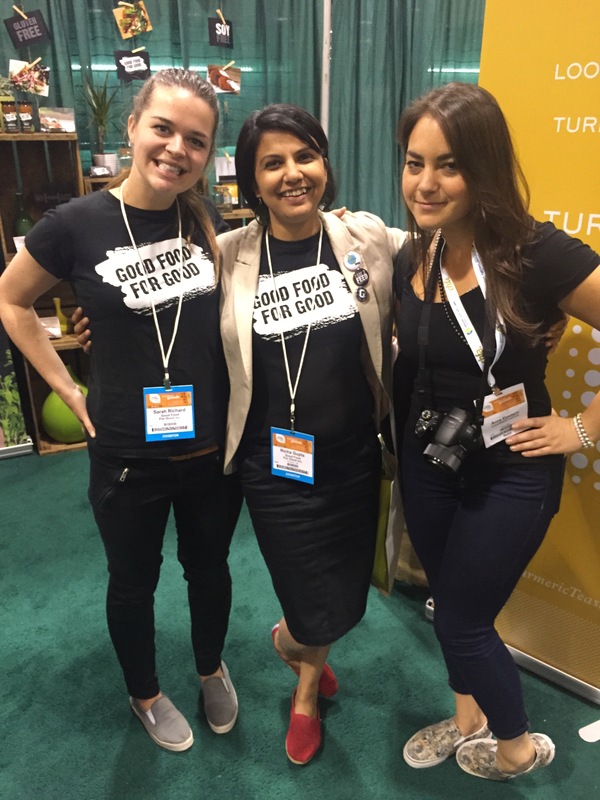 We launched our new line of ketchup that is sweetened with dates (just like our sauces) and a line of Organic Teas with Turmeric Root called Turmeric Teas.We had a blast with our team and friends who helped us out at the event and we loved the response we received from the industry. 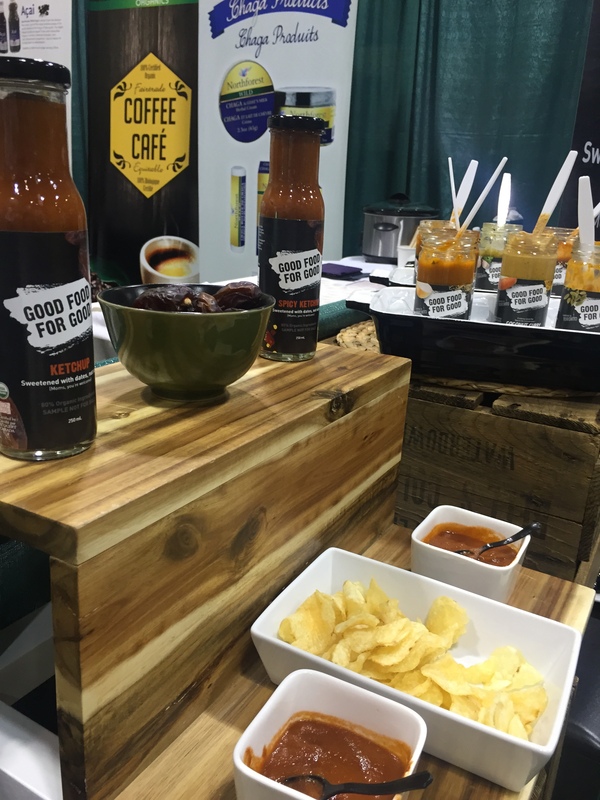 This week we discovered that Canadian Grocer listed us as one of the top 15 cool finds from CHFA. So honoured to be in the list with some great names. Thank you CHFA for giving us the platform to showcase our creations to the industry and Thank you Canadian Grocer for recognizing our passion. Thank you for helping us make a difference one meal at a time!